Looking for a grand ski resort hotel, with a major modern ski resort? Here’s our favorite luxury getaway in the majestic White Mountains of New Hampshire, The Omni Mount Washington Resort at Bretton Woods – which happens to be NH’s largest ski resort. 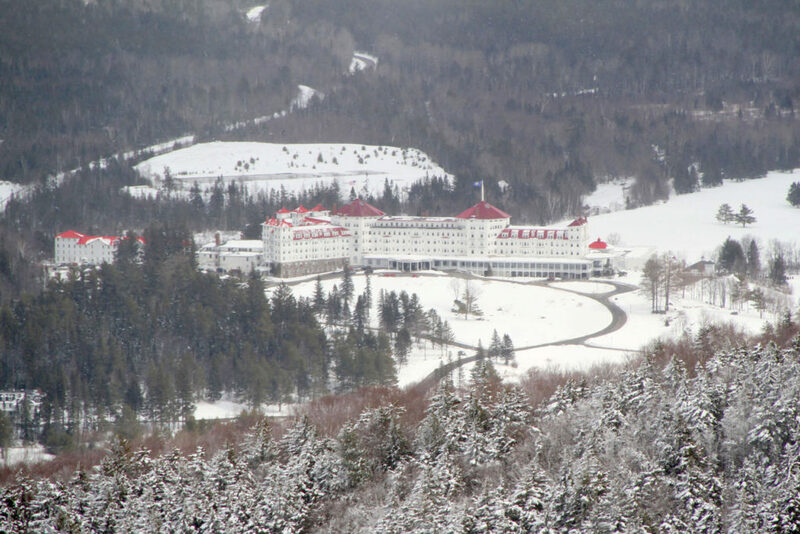 The 1902 Hotel is historic, elegant and magical in winter, like a snowy castle at the base of Mount Washington. Just across the road, the resort spans to include alpine skiing on almost 500 acres, with speedy lifts and top snow conditions. 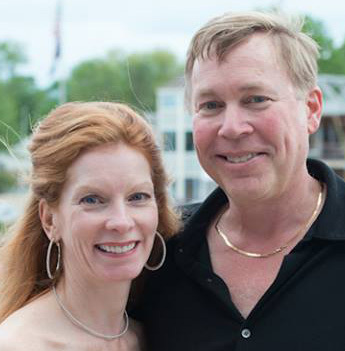 It’s the best of both worlds – skiing and sumptuous historic lodging with a spa! 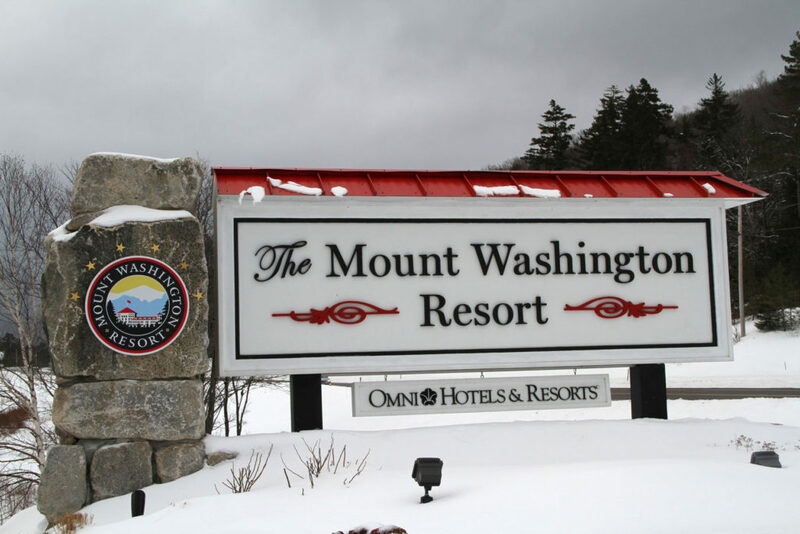 Here are 13 reasons you should plan a luxury ski vacation at The Mount Washington Resort. 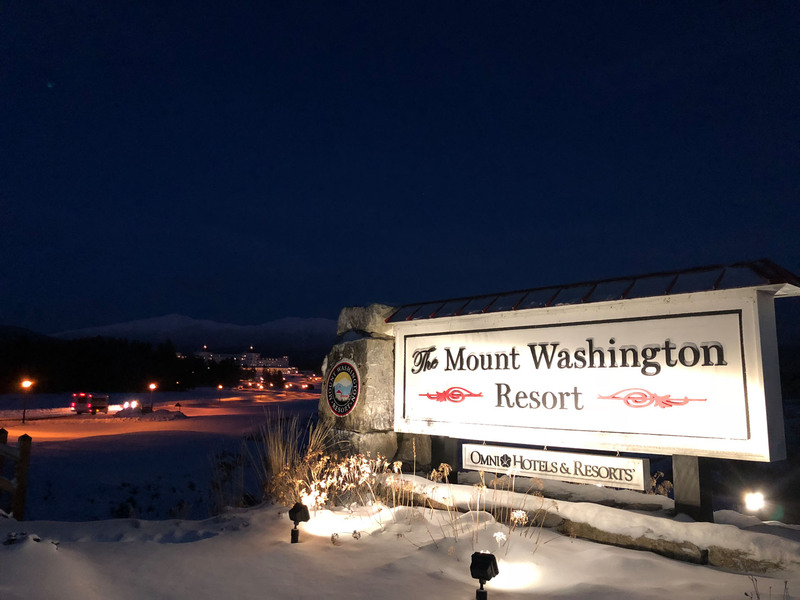 The Views – the pinnacle of this proud resort that’s been drawing the well-heeled for over a century is the towering Mount Washington at 6,288’- the largest peak on the Eastern Seaboard. Whether you are Nordic skiing around the hotel, alpine skiing dog sledding, relaxing in the outdoor heated pool, or– that massive mountain is your beautiful backdrop. 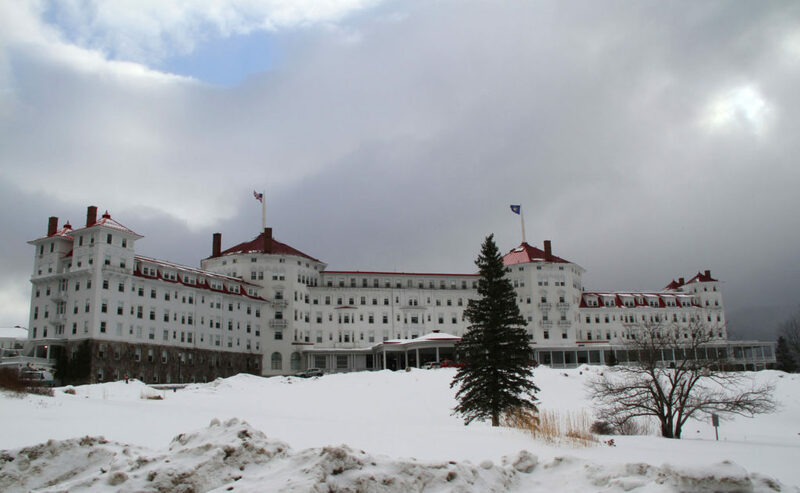 Staying at the 1902 Hotel Mount Washington makes for a truly special ski vacation. 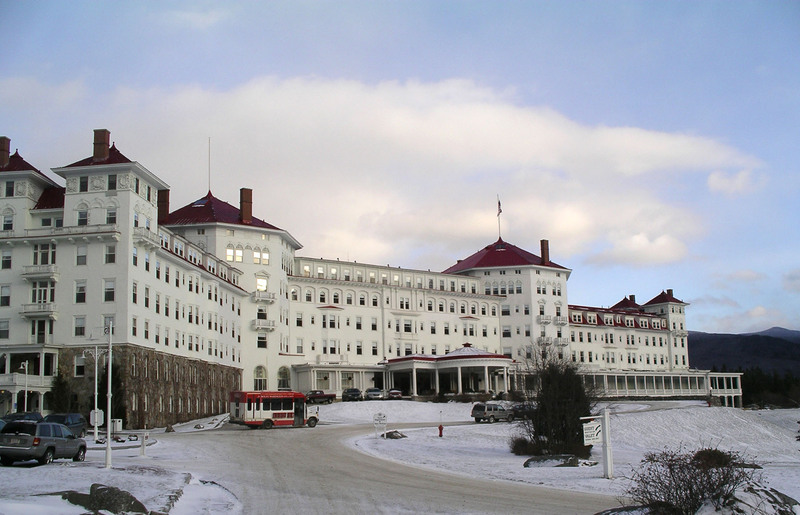 This 1902 Hotel holds a delightfully romantic story, and you will love exploring every detail and spectacular room from the Grand Hall beautifully decorated with original chandeliers of Tiffany glass and massive stone fireplaces, to the gathering rooms like the Conservatory and the pretty Princess Lounge, and the Gold Room where the 1944 Bretton Woods Agreement was signed. 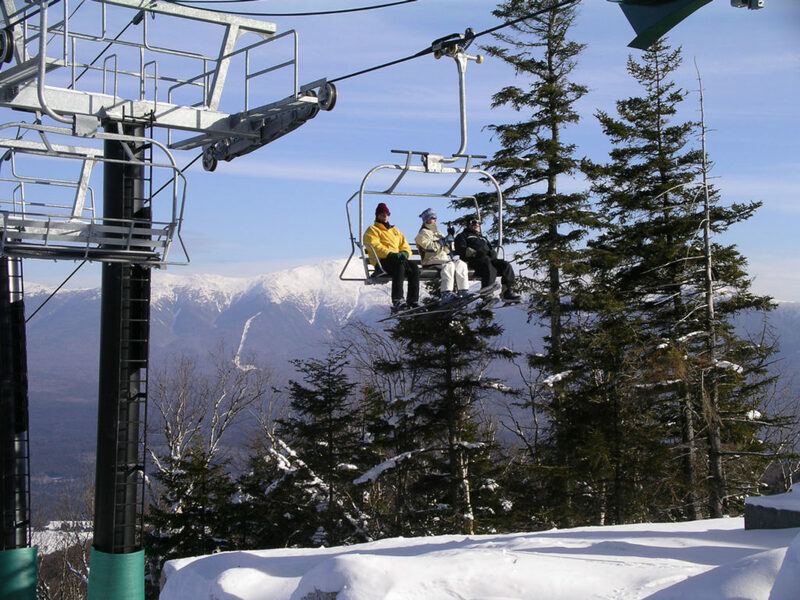 Bretton Woods skiing is among the best in New England, noted for its exceptional grooming, gently pitched terrain, and well-placed swift lifts. 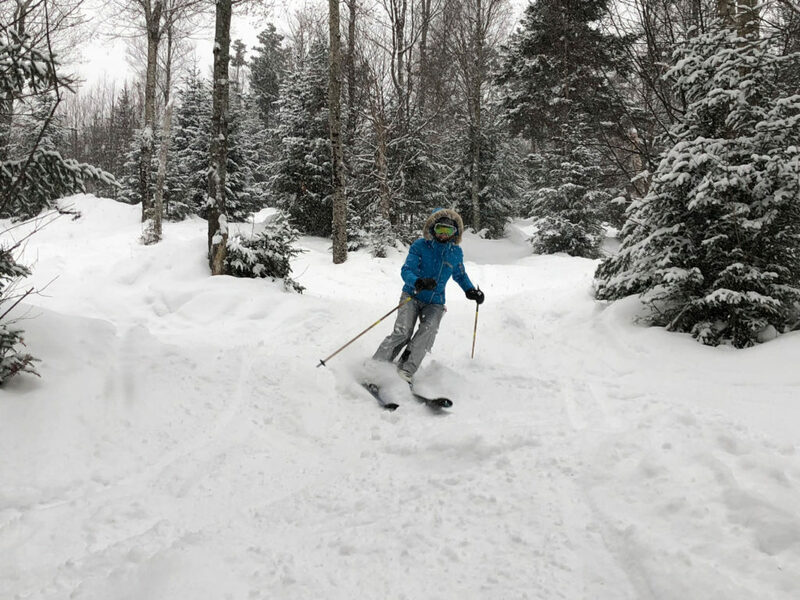 Four high speed quads flank the four-peaked mountain, with 10 lifts total, to access the 97 trails plus a bunch of beautiful birch-lined glades. 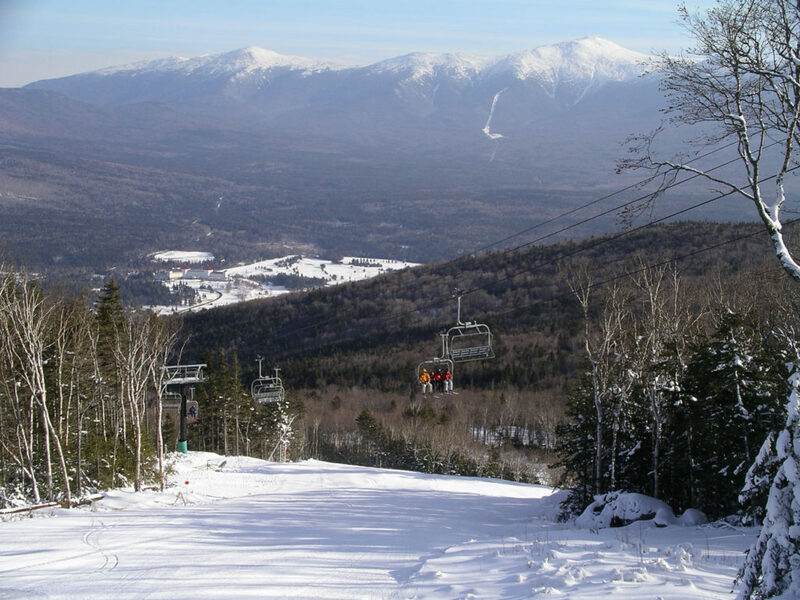 Next season, a base to summit gondola to a new lodge will really enhance Bretton Woods, not just for winter but all seasons. 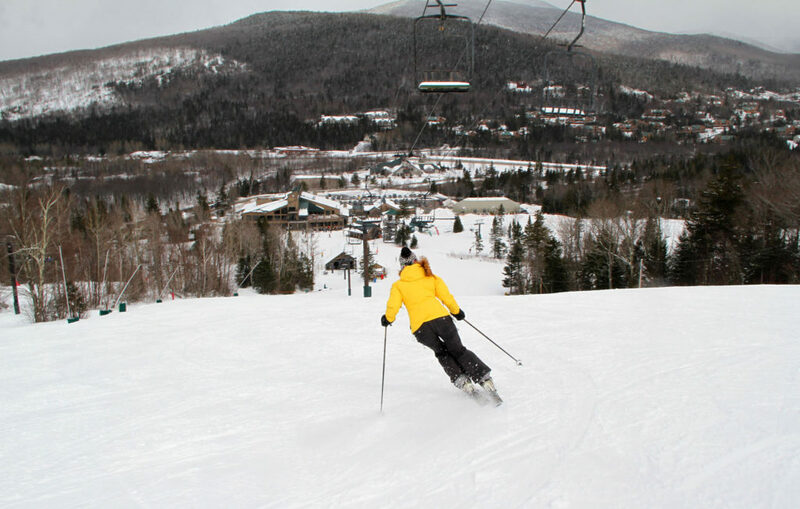 The Terrain – Bretton Woods is legendary for its gentle well-groomed ski trails. We love the meandering curves and turns of Crawford Blaze and Sawyers Swoop, so many fun runs. For a little steep, Bode’s Run, yes that NH-born Bode Miller’s trail, has punch, like the wild Olympic racer himself. 5. Tree skiers, Bretton Woods has the best low angle glades in the East. 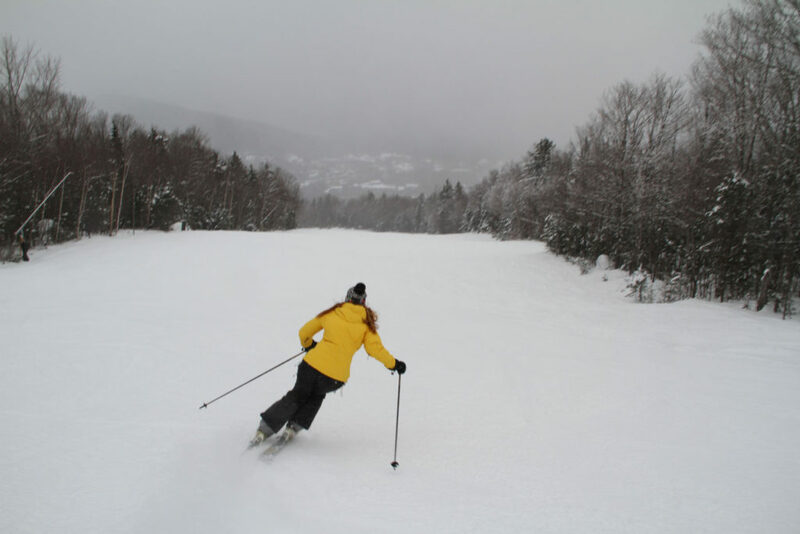 Acres and acres of well-spaced natural snow trails have the perfect smattering of birch and maple trees making for ego pleasing glade skiing. 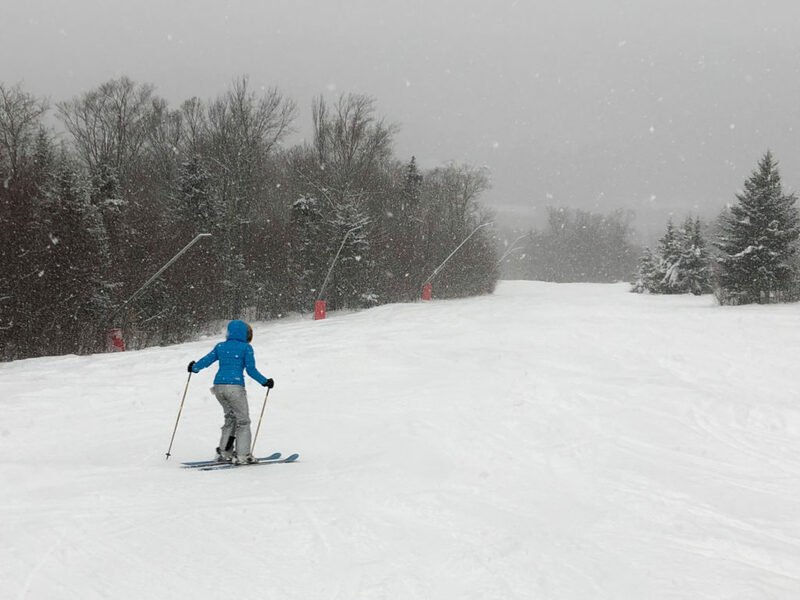 Kids will love bobbing in and out of Bretton Woods’ woods, parents will soon find themselves following and having fun. Mt Stickney served by an old school Telegraph T-Bar is more side-country earthy terrain for those looking for a less manicured ski adventure. 6. Nordic skiers will have a field-day, literally, cross country skiing on 100-kilometers of scenic, groomed track trails over snowy fields, through woods, over bridges and streams, or up the alpine ski resort lift for an advanced high-country loop. 7. 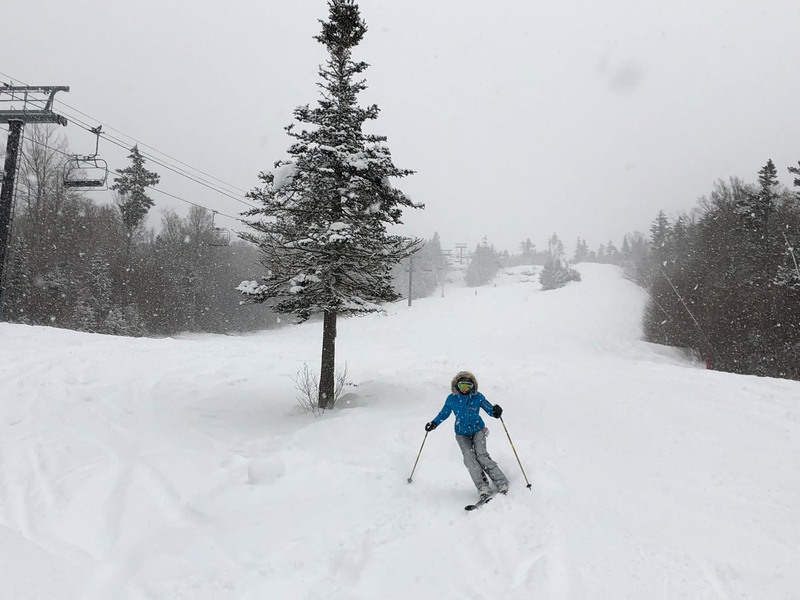 Kids rule at Bretton Woods – the Hobbit Ski and Snowboard School is among the best – with its own designated Center, perfect learning terrain, and a top notch teaching staff. 8. 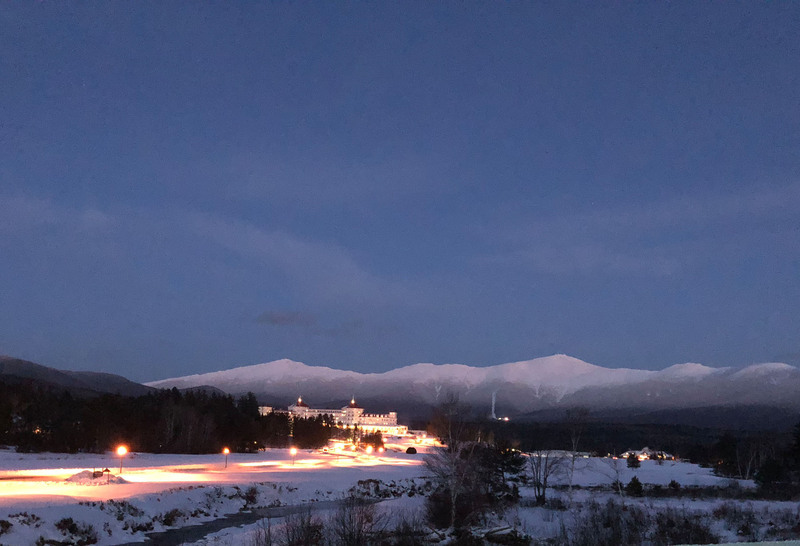 Après ski at Bretton Woods can be casual, with cold brews and hot toddies at the Bretton Woods base lodge, often with a band and always a view overlooking the ski slopes. Friday nights you can night ski til 8, or let the kids make laps while you watch and enjoy après ski at the expansive upstairs bar. If the kids are climbing the walls, let them – Bretton Woods base lodge has its own indoor rock climbing walls. 9. Elegant refined après ski awaits at the Hotel, in The Rosebrook Lounge, watching the alpenglow over Mount Washington. For the pampered set, the Presidential Spa is posh, with every treatment and massage imaginable plus indoor and outdoor jacuzzis. 10. 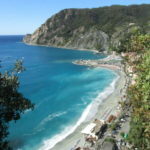 Arriving at the Hotel, you valet your car and take the shuttle to and from the ski resort. It’s a car-free, stress free vacation, unless you want to test drive a Porsche, the resort’s luxury car partner. 11. Explore the 1902 Hotel and feel the history, its fascinating. Hotel tours share the tales of Princess Caroline dressing for dinners held in the grand Dining Room, to the prohibition-era Cave speakeasy that still rocks with music and cocktails at night. It’s a shame more of the turn of the century hotels are gone – but this one remains and thrives, preserving the golden era in grand style. 12. For quiet cozy lodging, the Bretton Arms Inn is ideal, just a short walk to the big hotel. 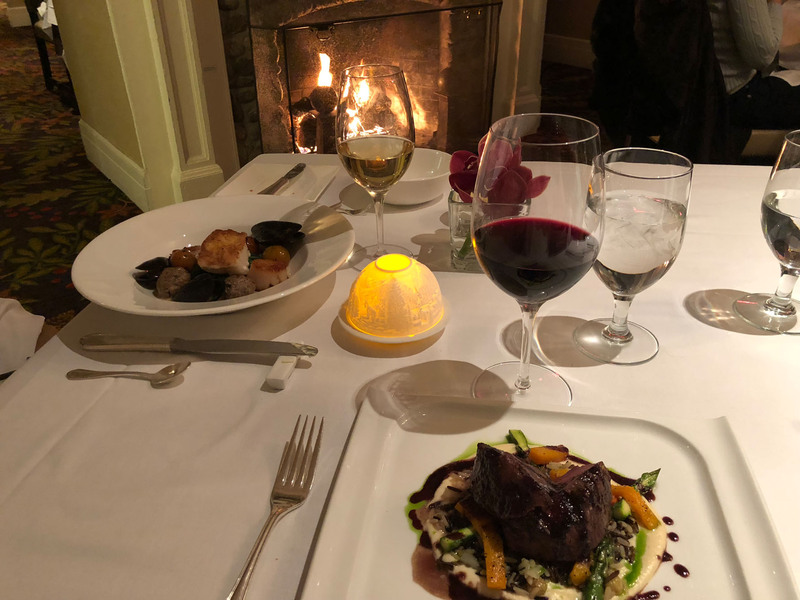 Hint: the food at Bretton Arms Inn’s dining room is out of this world, so whether you stay here or the big hotel, be sure to dine here one night and ask to be seated by the fire. 13. 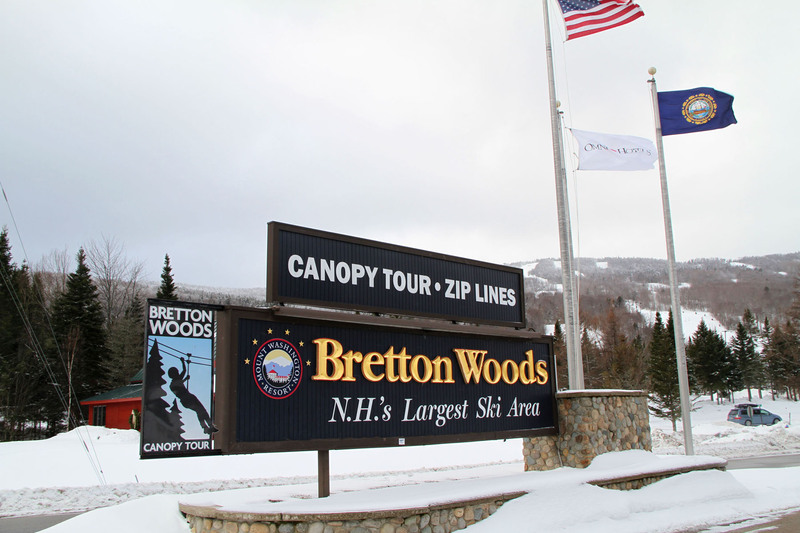 Not done with the fun: Bretton Woods also offers an extraordinary Canopy Tour Zip Line so you can “Zip & Ski”, or try a mush with a dog sled team, ice skate, take a horse drawn sleigh ride. 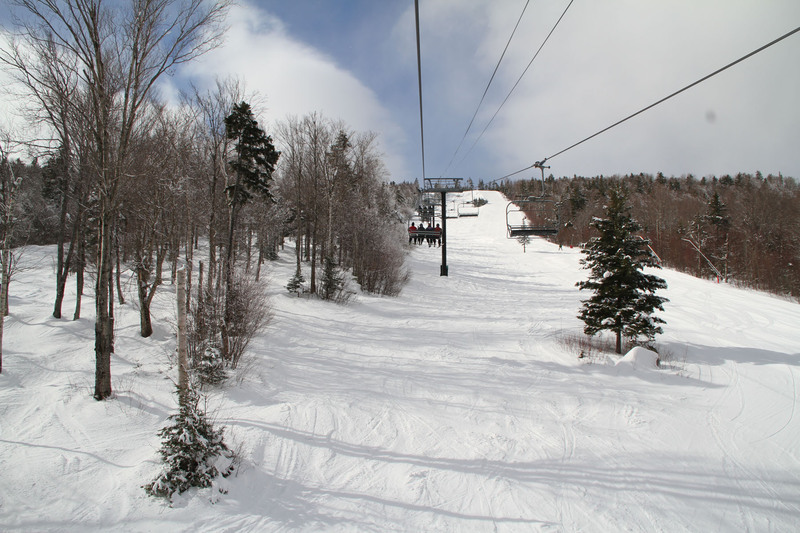 More on skiing Bretton Woods. Did we mention Omni Mount Washington Resort is a winter wonderland?